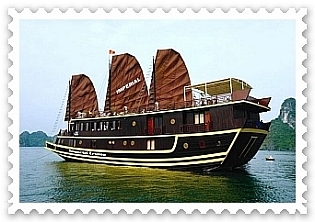 Halong Imperial Cruise is a traditional sailboat built of wood with modern facilities and first class service, expected to be perfect for exploring Halong Bay on Imperial Cruise. 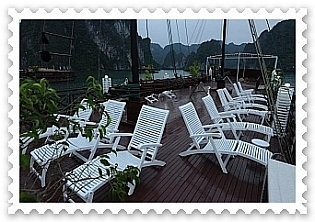 Halong Imperial includes 12 cabins, 2 floors and 1 sundeck. 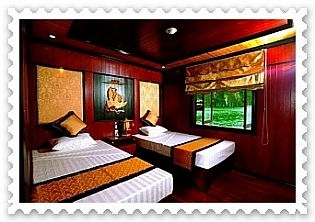 Each of the 12 cabins at this 3-star cruise have all the comforts and conveniences of home. Each room includes desk, bathrobes, air conditioning, non smoking rooms. 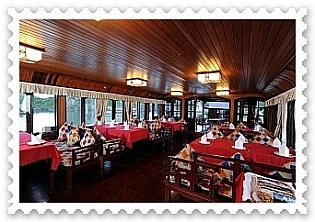 Other features at the cruise include restaurant, safety deposit boxes, meeting facilities. Facilities for recreation and leisure available include massage. 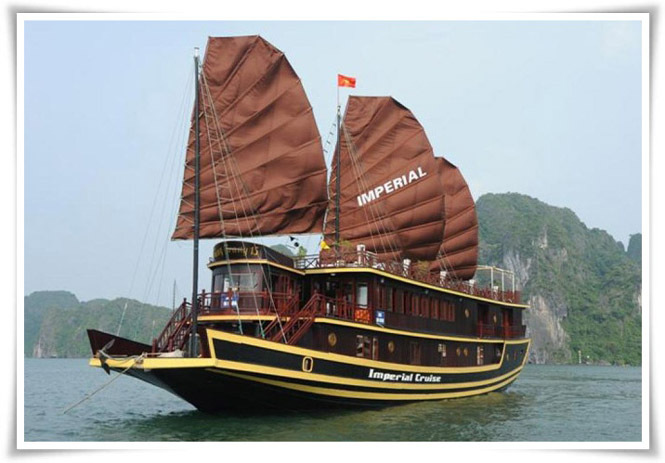 Comfort and convenience are the hallmarks of Imperial Cruise Halong.